Put EMSL's PCB testing experts to work for you. 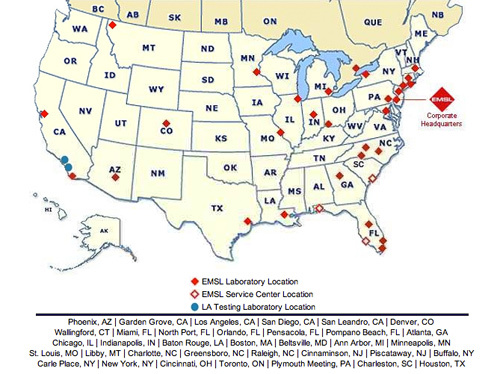 EMSL has over 30 laboratories across North America and their corporate laboratory alone offers over 100,000 square feet of laboratory space and support services. Staffed with PhD scientists and the industry's leading experts who have access to a wide range of advanced instrumentation, EMSL is able to rapidly respond to customer's PCB inquiries and testing needs. EMSL's unmatched expertise, coupled with a focus on customer satisfaction, always provides for the highest level of service. Contact EMSL today for solutions and answers to all of your PCB concerns.